Infrastructures that check endpoint health before network access have generated plenty of buzz, but precious little deployment. Some companies are waiting for a winner to emerge from the chief contenders: Cisco’s Network Admission Control (NAC), Microsoft’s Network Access Protection (NAP), and TCG’s Trusted Network Connect (TNC). Others have tested these infrastructures and found that full deployment requires massive network upgrades and agent installations that will likely take years. To fill the gap between consumer interest and investment, several vendors now offer “NAC-in-a-box” — appliances that deliver many of NAC’s promised benefits, with far less fuss. NAC, NAP, and TNC are distributed architectures that differ in detail but share a common goal: proactive eradication of threats introduced by hosts connecting to corporate networks. All three extend network infrastructure to audit health and verify compliance before each endpoint connects to that network. All require coordination between an agent on the endpoint itself, devices that deliver network access, servers that provide authentication, systems responsible for policy decisions regarding health and compliance, and elements that help enforce those decisions and remediate failures. Baking admission control into a network’s fabric is conceptually attractive, but it takes time and money to upgrade networks with dozens of servers, hundreds of routers and switches, and thousands of hosts. How appliances accomplish these tasks — and the degree to which they do so–varies widely. But most NAC appliances try to avoid requiring installed agent software or network/server upgrades. Instead, they use an overlay approach to augment what you already have in place. Unlike point products that fit into a distributed NAC infrastructure, appliances tend to minimize dependency on third-party systems by absorbing as much of the NAC burden as possible. This does not mean that NAC appliances have no external interfaces — indeed, they must interoperate with surrounding systems to avoid network redesign. Choosing the right NAC appliance requires a good understanding of the role(s) it will play in your network and the functions it must or may provide. Factors to consider when choosing a NAC appliance include the following. Access methods: NAC appliances insert themselves into the network admission process at various points, such as when a LAN user logs into a domain, when a wireless user passes 802.1X, or when a remote user tunnels into a VPN. Most appliances support 802.1X for wired and wireless LAN endpoints. If you have not yet invested in 802.1X–or want to support guest access — look for an appliance with Web portal login or DHCP-time checks. Related considerations include support for your VPN client/concentrator and single-sign-on so that NAC does not result in multiple user logins. Network independence: Unlike Cisco NAC (which requires Cisco IOS and ACS) and Microsoft NAP (which requires Microsoft Vista and Longhorn), NAC appliances are designed to drop into existing heterogeneous networks. But what does “drop in” mean? Most NAC appliances connect to a Layer 2 switch, between access and distribution or core layers. Some connect to a Layer 3 switch, near the network core. NAC appliances may operate out-of-band (consulted only during admission) or in-line (passing traffic as a bridge or router after admission). Each has pros and cons — for example, out-of-band appliances avoid adding latency, but in-line appliances simplify enforcement. Some appliances support both options, letting you decide the best fit for your network. Authentication methods: Most NAC appliances assess and enforce policy based on endpoint user identity — preferably authenticated. A Web portal on the appliance is common for guest access, but you probably want to authenticate employees against existing servers and databases. Most NAC appliances can proxy LAN access requests to your existing Active Directory, LDAP, or RADIUS authentication server, then use results to enforce user or group-based policies. Some NAC appliances also support certificate and two-factor authentication, primarily needed for VPN or 802.1X users. If you must deal with “headless” devices like IP printers, look for an appliance that can use simple MAC ACLs to assess and map unauthenticated devices onto specified VLANs. Policy definition: NAC assessment is based on policy, but what does that policy look like and how is it defined? Start by checking the endpoint’s health: Is it infected with viruses or spyware; is it listening to trojan ports? Next, compare endpoint security posture to defined requirements: Is the OS version allowed, are security patches and signatures current, are anti-virus and firewall programs present, or are forbidden services running? NAC appliances diverge on these nitty-gritty policy details, so look carefully at built-in policies, custom policy granularity, and ability to assess or invoke the endpoint security programs used by your workforce. Enforcement and remediation: Ultimately, a NAC appliance must deny admission to non-compliant endpoints. Blocking could be accomplished through authentication failure, but to cut help desk cost, NAC must assist with self-remediation. Most NAC appliances can quarantine endpoints into a VLAN or subnet, redirecting Web requests to a remediation server where the user can apply missing patches or remove malware. In-line appliances can directly enforce quarantine through VLAN switching or routing. Out-of-band appliances may redirect traffic using ARP or send SNMP/CLI ACL updates to nearby switches, routers, or firewalls. This is another area where NAC appliances diverge, so look closely at enforcement reliability and granularity, as well as self-remediation and limited access controls. For example, are quarantined endpoints isolated from each other, or do they share one “VLAN of death”? Also pay close attention to how endpoints exit quarantine — the appliance should avoid help desk intervention for simple fixes, while escalating more serious problems via email, traps, or trouble tickets. Future direction: Companies that are not yet ready to take the NAC/NAP/TNC plunge can use NAC appliances to reap immediate benefits and learn more about assessment and remediation. In the long run, NAC appliances are expected to integrate with those infrastructure solutions. Customers with heavy Cisco investment may prefer appliance vendors that participate in the Cisco Compatible for NAC program. Those planning to move aggressively to Vista and Longhorn may look for vendors in Microsoft’s NAP program. Large heterogeneous networks will benefit from appliances that eventually implement TNC’s open interfaces. But avoid over-emphasis on today’s alliances. Many NAC vendors are hedging their bets by participating in multiple programs. Many vendors already offer NAC appliances, and analysts expect this market to explode over the next few years. Purpose-built NAC products that use hardware appliances to assess endpoint integrity and control network admission include products from Caymas, ConSentry, FireEye, ForeScouot, Lockdown, Mirage, Nevis, StillSecure, Symantec and Vernier, as well as Cisco’s Clean Access. In addition, most network equipment vendors are adding NAC features to managed switches, wireless access points, and remote access concentrators. Examples include Cisco, Enterasys, Extreme Networks, Hewlett-Packard, and Juniper Networks. Many host security software vendors are adding NAC features to their offerings, including InfoExpress, McAfee, Senforce, and TrendMicro. These NAC-enabled devices and programs are helping to lay the foundation for infrastructure-based network admission control. 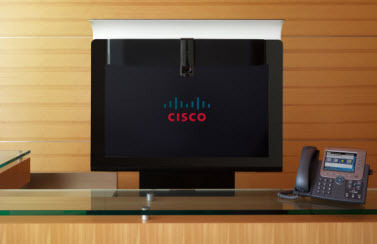 Note that Cisco currently participates in both markets — this trend is likely to expand as vendors try to capture customers by offering NAC appliances today, and hold onto them by offering NAC infrastructure solutions tomorrow.